Still on the fence about Mobile Billboards and how they can help your company? Consider these 13 reasons why Mobile Billboard advertising may be right for you. 1. MOBILE BILLBOARD ADVERTISING WORKS! It lives up to its’ promise, reaches more people than any other medium (apart from TV), and offers better value for the money. 2. With Mobile Billboard advertising you can take your message directly to the areas you want to draw people from. This means there is no wasted advertising which in turn means that dollar for dollar this medium works harder and is more cost effective than most other mediums. 3. Mobile Billboard advertising is stand alone advertising. Your message stands out from your competitors’ unlike local paper and radio advertising where ads blend in. 4. Mobile Billboard advertising cannot be thrown away, switched off or tuned out, ensuring your ad gets noticed and works for you all of the time. 5. No other form of local advertising can reach as many people at such a low rate per thousand (CPM) as Mobile Billboards. 6. Mobile Billboards are always working, stationary or moving. There is no waste. 7. With mobile Billboard advertising you can target impulse buyers capturing your share of the 60% of people who make high street purchases on impulse. 8. Flexibility, from 1 day to 1 week, to multi months you can build a campaign to fit your needs. 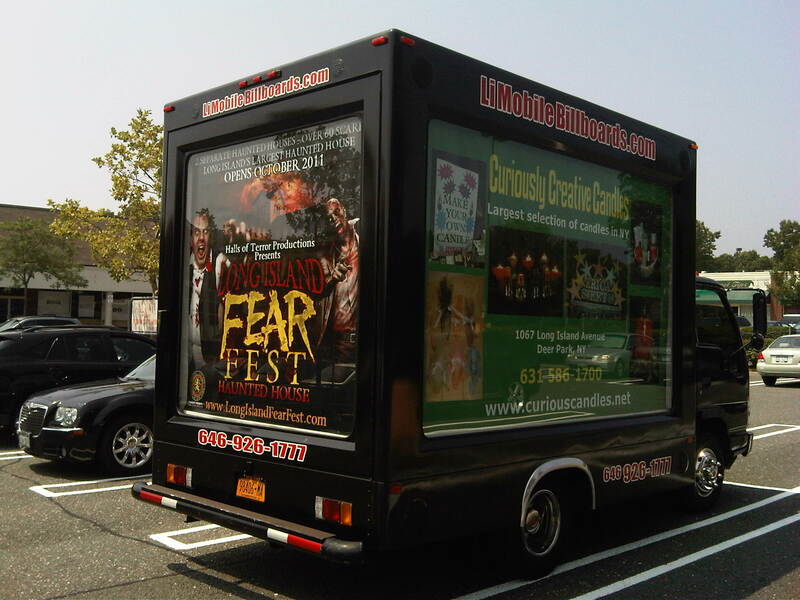 Mobile Billboards are also ideal for grand openings, sales, special promotions and events. 9. Mobile Billboards are large, eye level and eye catching…People can’t help but look at your message. This is the whole point of advertising! 10. The scrolling and back-lit Mobile Billboards are eye grabbing, large, fully mobile, and unique in traffic. And because of this, usually generate quite a bit of excitement wherever they go! They are a great method to use for branding and conveying a consistent message. 11. Mobile Billboards are unique. Unlike newspaper and radio advertising, your company will not be glossed over or phased out. 12. Mobile Billboard advertising is a medium which is perceived to be very expensive, giving your competitors the illusion that you’ve got more money than them and your potential customers think your brand is bigger and more trust worthy than your competitors. 13. Mobile Billboards can cover a far greater area than other advertising mediums, or target to your exact needs. This means you don’t have to advertise in dozens of overlapping newspapers and radio stations and in the process pay over-the-top rates.